With private jet and yacht chartering on the rise, DIGIRAW has received a steady stream of entry-level carry-on pre-loaded media streaming requests. Carry-on devices satisfy the need for simple integration, effectively overcoming the need for expensive installations and extensive modifications. To challenge the requirement further, inflight entertainment without the need to connect to the internet is of paramount importance in keeping running costs down. With a lot of testing and product evaluation, DIGIRAW has fused its high-quality disc-to-digital service with the leading hardware maker WD and software developer Plex. 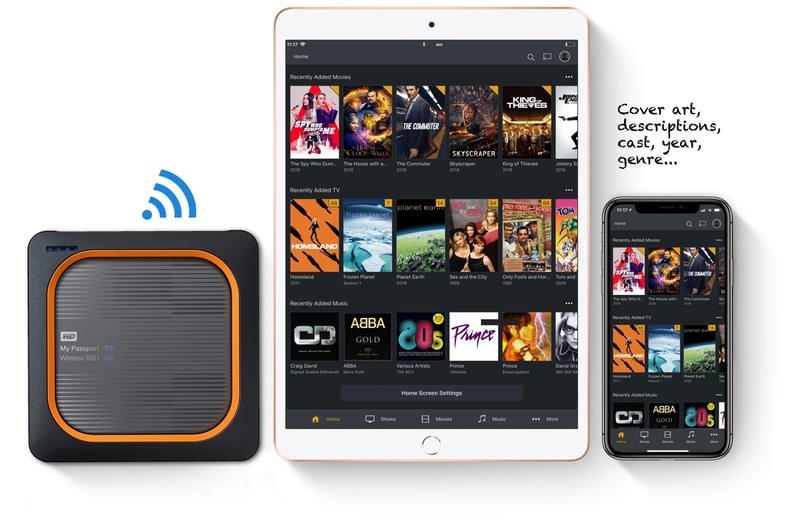 Branded Media Volt and satisfying the need for up to seven connected mobile devices from phones to tablets, clients may hire DIGIRAW to provide a complete turnkey solution, incorporating hundreds of movies, TV Shows and music albums. Please click here and visit Media Volt for further information. The DIGIRAW CD, DVD, Blu-ray & 4K (UHD) ripping service was created in Dec 2012 to help movie, and music lovers alike to convert their physical media collections to digital, quickly. A disc-to-digital home-media service which organises, presents and plays your physical discs on any screen. Some suggest is not unlike a Netflix type service, with one notable extra benefit, you get to choose your content, and keep it! That's selective viewing at its best. © 2012 - 2019 DIGIRAW. All rights reserved. DIGIRAW and the contents of this website are not endorsed, associated or affiliated with ©Apple Computers Inc., Beats By Dr Dre, iTunes, Plex Media Server, Emby, Infuse 6 (Firecore), ROKU, Google Chromecast, Amazon Fire TV, Netflix, Nvidia, Western Digital (WD) & Dolby. Use and reference to trademarks is done solely with the intention of referencing their products and services.